You Are Here: Home » Home Improvement » Is White Glove Service Worth It? Is White Glove Service Worth It? 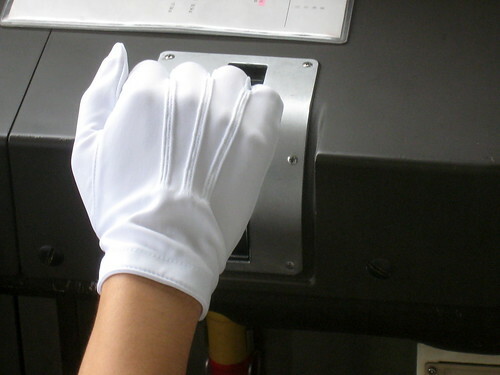 White glove service offers an extra layer of customer service to your purchases. You may have wondered whether paying considerably more for an item is worth it. The answer depends on the value and complexity of your purchase. While a small package that can be left with a neighbor doesn’t require any extra care, it might be a good idea to buy this service for a heavy appliance or high-tech audio or video item. When is White Glove the Right Type of Service? This high-end service is best for purchases of large, unwieldy items or those that require extensive set-up. If you lack the special knowledge needed to install, assemble or start operating something you bought, the service may be in order. Sometimes we underestimate the complexity involved in the installation of a high-end TV, computer or similar item. When something goes awry, we then must spend time and money to locate a skilled repair person to fix our mistakes. Very heavy items like appliances may also be good candidates. Delivery people are sure to have special equipment required to move some items. In many cases, companies will also remove old items and replace them with customers’ new purchases. They’ll even get rid of styrofoam peanuts, plastic wrap, cardboard boxes and other messy packaging. If the item was not purchased as a replacement, it may just need to be delivered and placed in a specific room so you won’t have to do the heavy lifting after the delivery is made. Certain items cannot be simply taken to the curb or a dumpster when you no longer need them. Some appliances, for example, contain toxic or otherwise dangerous components or materials that, by law, must be disposed of in a very specific way. Having the company you purchased your new item from remove the old one can save you a lot of headaches and even fines for improper disposal. White glove service is more than exceptional customer service. In the end, it’s up to you to decide whether your time and labor are worth the extra cost involved in this special type of retail service. For more information about white glove service, contact Jeana Olchowy. Follow her @jolchowy25.